Detailed information on the finished FAMO is presented one month after the initial report of the mock-up. 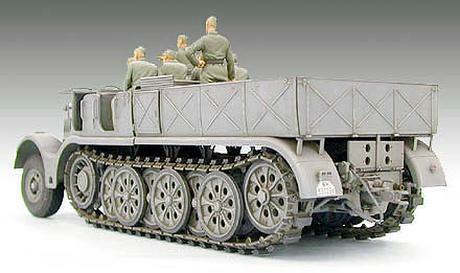 The FAMO was the largest half-track in the German army, and the model reflects the size and detail of this behemoth. Combine with the Panzer III, IV, Tiger I and Panther for a variety of diorama possibilities. 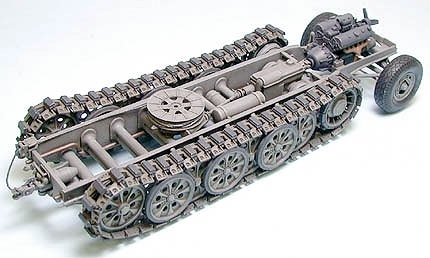 In the wake of Blitzkrieg advances made by the Wehrmacht at the outbreak of WWII, the recovery of damaged or broken tanks from the battlefield proved relatively simple. After securing an area, reinforcing divisions could easily send inoperative vehicles back to the homeland for repair via railway. 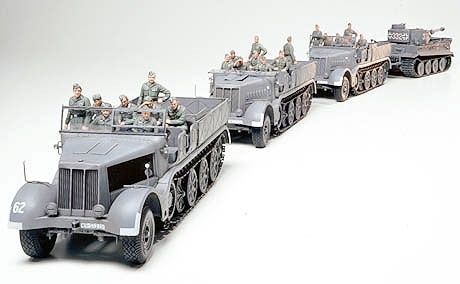 However, in the seesaw battles with the British Army in North Africa and against the Russian Army on the Russian front, the quick replenishment of tank strength became an indispensable element of Wehrmacht battle strategy. The utilization of the 18 ton Heavy Half-Track "Famo" proved fundamental to this strategy. 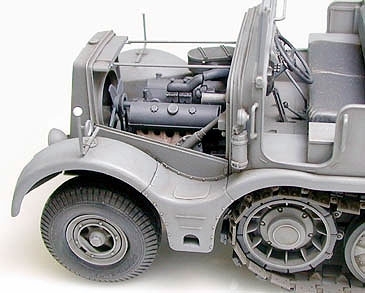 The proposal for the development of the Wehrmacht half-tracks was first made in 1932. Originally, three half-tracks, designated by their towing capability (5 ton, 8 ton and 12 ton) were designed, until 1936, when a light 3 ton vehicle and a heavy 18 ton vehicle, the largest one in the Wehrmacht, were also added. The 18 ton half track was mainly developed for the towing of 21cm and 24cm artillery howitzer and of course for tank recovery. 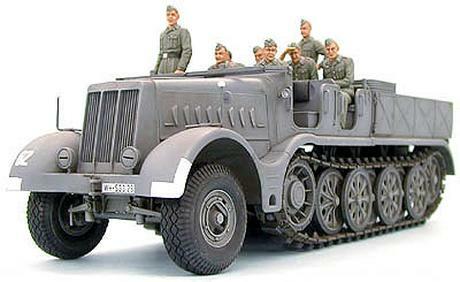 It could also be used for the transport of over 30 troops. 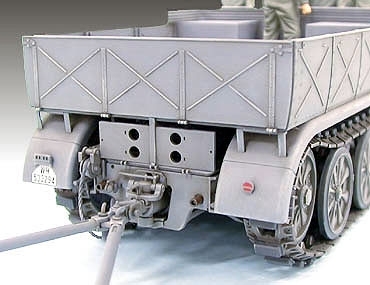 1/35 plastic assembly kit of the largest half-track in the German Army. Overall Length: 243mm, Overall Width: 75mm. Highly detailed model captures the size and tank-towing power of the FAMO. 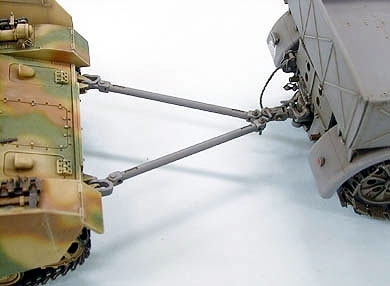 Synthetic rubber front tires and steerable front wheels for maximum realism. Rear gate and storage doors can be assembled in the open or closed position. 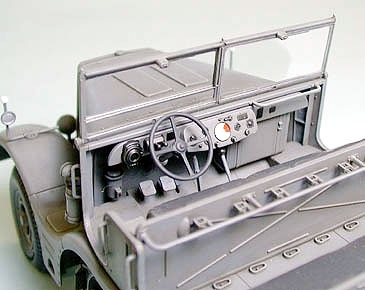 Can be assembled with or without engine side panels, revealing fully detailed engine. 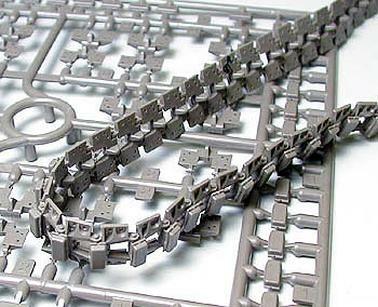 Engine can be assembled outside of FAMO. Eight figures (four variations) included.